Estee Fletter, E-RYT 500, is a compassionate and inspired Yoga Teacher, Mentor, and Teacher Trainer based in San Francisco. Estee’s classes are a graceful experience blending chanting, meditation, music, and intelligent sequencing with emphasis on safe alignment and breathing techniques. She is known for her warm nature, the soothing quality of her voice, and supportive hands-on assists. Her grounded and motivating energy provides all levels of practitioners the opportunity to find balance while exploring their own unique possibilities. Estee discovered yoga in 1999 and has been teaching since 2005. She has completed multiple teaching certification programs in Vinyasa, Ayurveda, and Restorative Yoga. Her unique teaching style is greatly influenced by the ancient wisdom of Ayurveda, the devotional essence of Bhakti yoga, and her beloved teachers Stephanie Snyder and Ali Cramer. 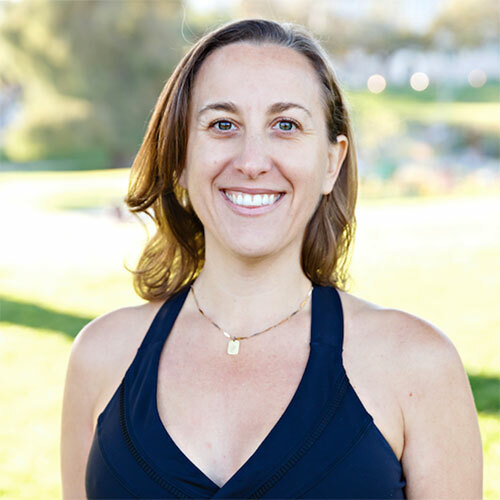 Estee currently offers public classes, workshops, mentorships, and trainings at Yoga Tree, private lessons and office classes throughout the Bay Area, as well as retreats across the globe.